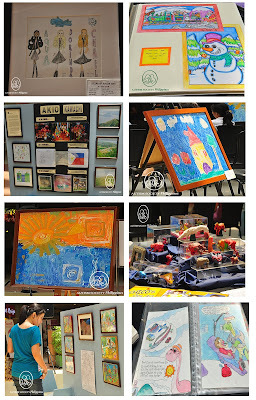 ASP celebrated the 3rd World Autism Awareness Day with two simultaneous painting exhibits from April 9- 11, 2010. “We at ASP believe that our children can lead full and meaningful lives. Our children simply need greater understanding and support,” said ASP National President, Grace Adviento, during her welcome address at both opening ceremonies. 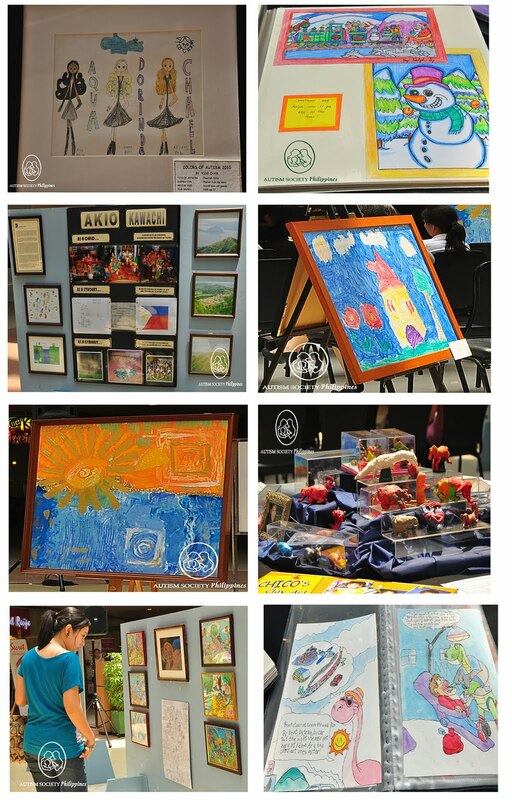 PWA artist Vico Cham and other artists with autism, Sofia Santiago, Ralph Sy, Akio Kawachi, Chico Joaquin, Johnmig Rebadavia, Jon Jon De Guzman and Alan Ng exhibited their artworks at The Atrium of SM Megamall. This is Vico Cham’s second exhibit in cooperation with Shine Intervention Center. More about Vico Cham, click here. “We are very fortunate to host this year’s event, leading to education and autism awareness,” said Mark Louie Sta. Ana, SM Sta. Mesa Mall Manager during the opening ceremonies. Crowds gathered around to hear 11 year old Angelo Dave Ponce’s rendition of “Sana,” the Filipino version of “Imagine”. Dave is an incoming Grade 6 student at New Era University. “He loves surfing the internet and listening to music in his I-pod,” contributed his mom Aimee Ponce from Diliman Chapter. She sang along with Dave on her seat, while he sang “Ugoy sa Duyan” on stage. After the song numbers, a ribbon cutting ceremony followed to usher Kenrick Cheng’s first one-man exhibit. Kenrick has been taking painting lessons under the mentorship Erwin Jara.The paintings are among Ken’s private collections over the span of four years. “Different people have a unique set of skills and talents. Autism should not be a hindrance to success. They even surpass abilities of other typical teen-agers,” said Daphne, a sibling support member. Acknowledgments: SM Program on Disability Affairs, SMPDA Vice Chair Mr. Reybie Nipas, SM Sta. 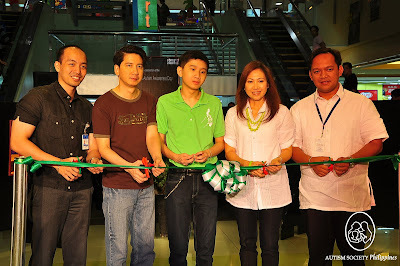 Mesa Mall Manager Mark Louie Sta. Ana, SM MegaMall Manager Mr. Christian V. Mathay Shine Intervention Center, Cheng and Cham Family, PWA artists, Volunteer Photographer Alex Naing and Ms. My Sorongon, emcee for the events. ASP continues to dispel misconceptions about autism. ASP believes that a strong family support system builds up a person with autism’s self esteem and self awareness. Call 926 6941 or 929 8447 and register now for the May Family Support Group.